Book your next event in our spacious meeting facilities. 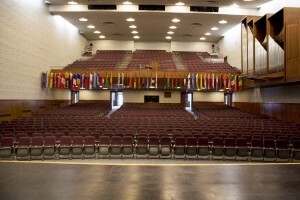 These include ballrooms, conference rooms, auditoriums and lecture halls. Amenities include high speed Internet access, multimedia equipment and technical support. Enjoy our hospitality and personal attention, where your needs come first. Our attentive service is second-to-none in the Cedar Valley. All facility requests should be directed to Carrie Gleason, camps, conferences, and event scheduling manager. 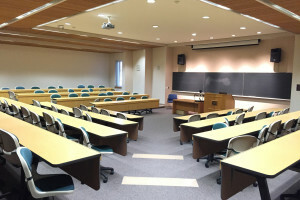 All facilities include full multimedia presentation equipment. 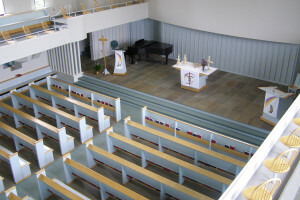 Wartburg has numerous facilities to accommodate both large and small events. 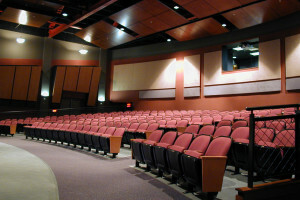 The Saemann Student Center includes a large ballroom that can be divided into smaller meeting spaces, a 300-person theatre/lecture hall, conference rooms, and dining facilities. HOSTING AN EVENT WITH THE WARTBURG TOUCH. WORTH IT.